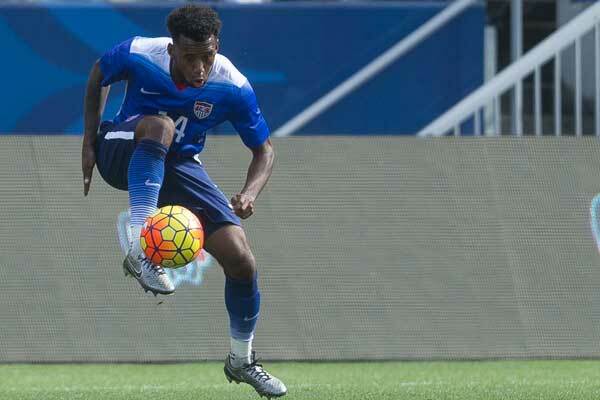 By Jason Davis – WASHINGTON DC (Oct 24, 2018) US Soccer Players - The rumor is now official. Gerardo “Tata” Martino will leave Atlanta United for a new challenge at the end of Atlanta’s 2018 MLS season. In a news release issued on Tuesday morning, the club announced that Martino declined Atlanta United’s offered contract extension despite their best efforts to retain him for 2019. While Martino’s departure won’t come until after the current campaign ends for United, his decision will have an obvious impact on the remainder of 2018. The timing of the disclosure that he has, at best, six games left on the sidelines for Atlanta is bound to unsettle his players in some way. The calculation for Atlanta United’s leadership came down to whether the rampant rumors about Martino’s future were doing more harm than disclosing his departure would. Per reports, Martino didn’t officially inform the club that he intended to turn down the extension until after Sunday’s 2-1 win over Chicago at Mercedes-Benz Stadium. Given clarity, the club moved quickly to provide the same to its fans after Martino told the players of his plans on Monday morning. It’s difficult to imagine that it will be business as usual for Atlanta now that Martino’s impending departure is a given. Even accounting for professionalism and the fact that United is a good team with a solid grasp on what it takes to win, it's disruptive. Some of Atlanta’s mix of North and South American talent joined specifically because of Martino’s presence in Atlanta. Some may not see their position in the squad as guaranteed and wonder what a new head coach might change for 2019. Again, it's disruptive. No one knows the group better than Martino. He made a calculation and there’s no reason for United fans to think he’d jeopardize a chance at two trophies by dropping his decision on a locker room that couldn’t handle it. Sunday’s match against Toronto and Atlanta’s fate in the race for the Supporters' Shield will be the first test of the team’s ability to focus despite the news. Of course, should Atlanta finish behind the Red Bulls in the standings and/or miss out on an MLS Cup title, Martino’s decision and the timing of the announcement will be good reasons for those failures. A variable is now part of their season. Second-guessing of the timing of the announcement will be the prime discussion point should United come up short of their goals this season. For now, the focus is on 2018 and quest for the two trophies in play for Atlanta. But as the club’s release indicated, the search for Martino’s replacement can’t wait. In the second sentence, the statement reads: “The club will immediately begin a detailed global search for a replacement." That’s boilerplate-level text for press releases about coaching changes in Major League Soccer, whether initiated by the club or the coach. Very rarely do clubs actually live up to the “global” element of the statement or meet the full spirit of what that word means to most soccer fans. There’s a reality to what sort of attention MLS clubs can command and for most of the league’s history, a ceiling on what they were willing to pay. Well, until Atlanta hired Martino. There’s no reason to doubt that Atlanta will look globally or that the club has the clout and spending appetite to find and hire a high-level coach. By starting their existence with Martino on board, United both set a high bar and established themselves as a destination for coaches of a caliber usually unavailable to MLS teams. The choice for the next head coach of Atlanta United is the first real test of an amazingly successful start in Georgia and of whether keeping the bar so high is possible. The club established an idea of how they wanted to play and then landed a whale to institute that style. Regardless of how much of a destination Atlanta United has become relative to their MLS competition, its circumstances more than anything that will dictate how high they can aim with Martino’s replacement. 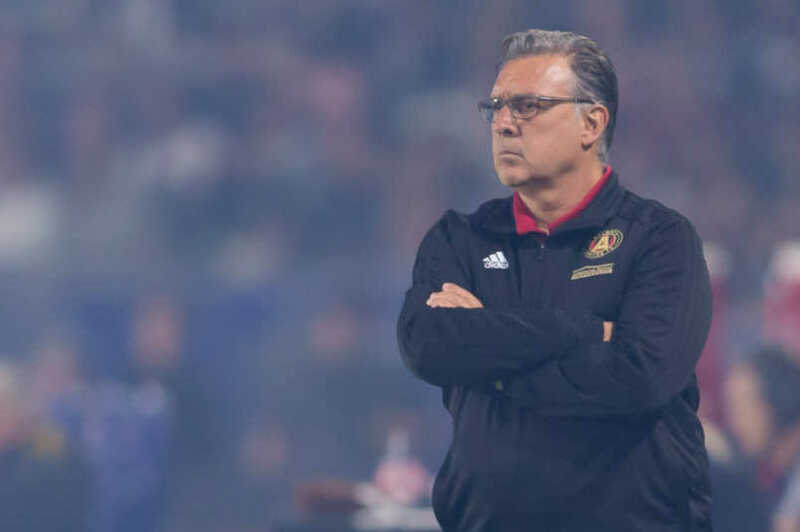 Is Atlanta United more than Tata Martino? Martino’s fingerprints are all over Atlanta’s success through almost two seasons. He’s the driving force around recruitment and the club’s style is a reflection of his philosophies on the game. Darren Eales and Carlos Bocanegra laid the foundation, but it’s Martino who did the work of building something grand on top of it. The foundation figures to remain in place for 2019 and beyond, based on the club’s investment, but there are no guarantees that the next architect will follow Martino’s lead. Atlanta can keep their desire for strict stylistic continuity, necessarily narrowing the candidate pool, or take a more open mind and hire someone close to Martino’s pedigree. There’s no particular pressure from a large and loyal fan base for the club to do the latter. Tapping a coach with a resume like Martino’s would be extremely difficult. The club might be setting themselves for a revolving door existence. United’s reach and credibility in the South American player market will take a hit with Martino’s departure. How much of a hit could help determine the club’s search for a coach. If Atlanta’s ability to sign talented young players out of places like Argentina and Paraguay is always a function of the man on the sidelines, they might find themselves forced into less-than-desirable choices in the future. All of this adds up to an extremely difficult job for Darren Eales. Despite Atlanta representing the most attractive coaching job in MLS, Eales is in a position to follow himself and the groundbreaking success of luring Martino to MLS. Almost nothing that counts as “realistic” will measure up. Armed with significant resources from owner Arthur Blank, a top training facility, and the massive support of United’s fan base, Eales will be more equipped than any team president in MLS history to attract a big name coach. Does Atlanta need a big name coach to follow Martino? Is the club confident of what it is and where it’s going after just two seasons to pick a lesser name coach who better fits a style or play or a wider philosophy of approach? Some of that will come down to what happens in the time that Martino has left in Atlanta. It’s more complicated now, but United is still the favorite to win the Shield, lift the Cup, and send Martino off with a championship.